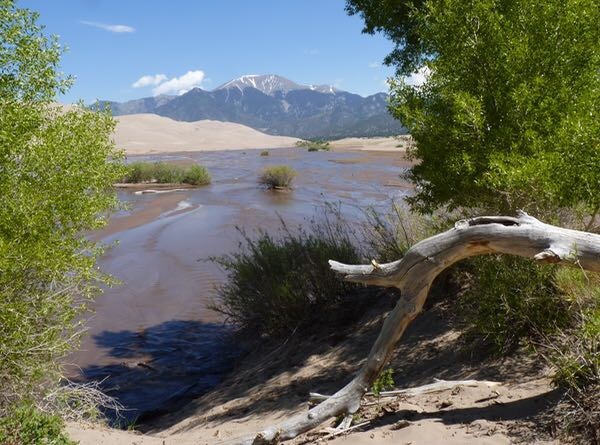 Great Sand Dunes National Park and Preserve was a short drive after coming down from the mountain and Zapata Falls. 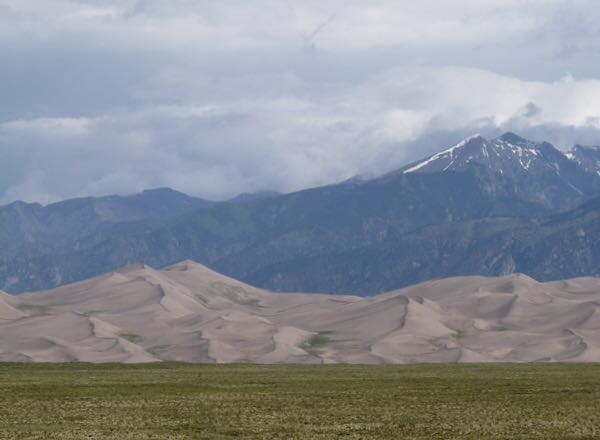 Its claim to fame are the tallest dunes in North America covering 30 square miles. Some dunes reaching up to 750ft high. It is said to be one of only a few places in the world where the desert, sand dunes, wetlands, and alpine mountains meet. Medano Creek ran past the dunes, which required wading across in order to reach them. 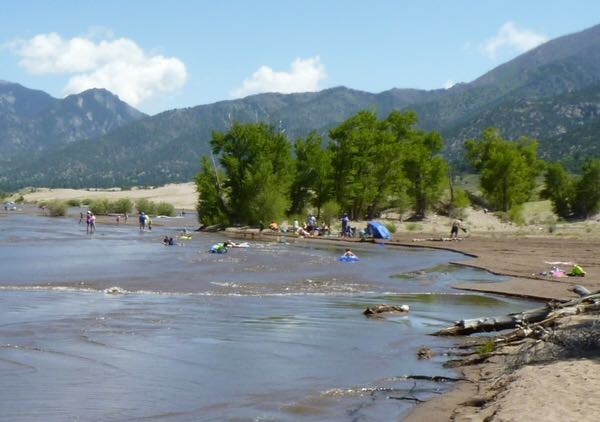 The creek was swarming with kids and families enjoying the beach like waterway. 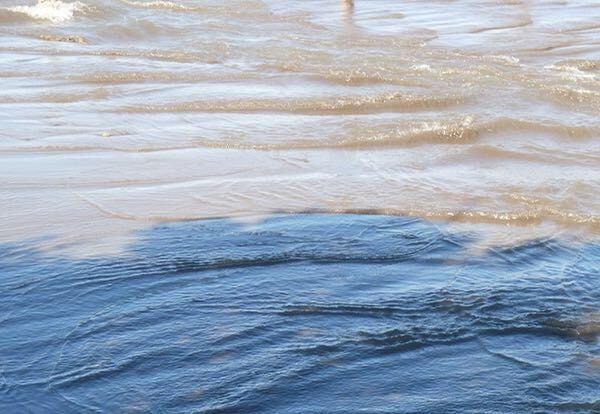 The water moved in waves; much like a tide pool at the shore. I passed on the chance to struggle up the sandy slopes with wet feet. Instead, taking as many photos as I could without people. 14,294ft Crestone Peak loomed in the distance, and several trails, mountain passes, and alpine lakes were intriguing. However, most all required a high clearance 4-wheel drive and rather long hikes. It would be a very interesting place to spend some time in the back country if one had the right equipment. The plan was to spend a night at the park campground and do a little more exploring. However, it was full; so I went on to the next camp. Just as well, because it was getting rather hot, and the higher mountains beckoned. These pictures sure bring back memories. I remember seeing them for the first time in the early 1970s. They are amazing. There is much more to see and do than what I accomplished. But, you need to come prepared for the challenge.